Redesigned from the ground up in 2015, the latest generation of Astra is vastly improved; it’s more refined, better to drive and more efficient. The latter is thanks to an extreme diet, shedding around 200kg compared to the previous generation car, along with Vauxhall’s 1.6-litre CDTi diesel engine and a perky sub-110g/km CO2 1.0-litre three-cylinder turbocharged petrol unit. 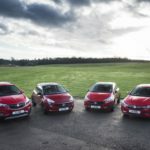 Vauxhall will embark on an electric-focused technology drive, which it says will transform its range over the next two years at a similar rate to its first heady days as a car manufacturer at the start of the last century. Vauxhall says it is continuing to execute the PACE! plan product offensive to meet customer needs and ensure compliance with Europe-wide CO2 guidelines which become effective in 2020. New cars registered as of 1 September must be certified according to the Worldwide Harmonised Light Vehicle Test Procedure (WLTP). The new test procedure provides customers with more realistic fuel consumption data. 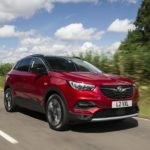 Vauxhall says it has been preparing its portfolio for the introduction of the new standards for several years and the entire passenger car range – without any restrictions – meets these new requirements. 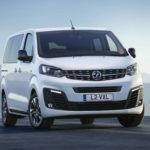 Vauxhall says it is “WLTP-ready” with all its passenger cars and customers can order the whole range, from ADAM to Insignia, at Vauxhall retailers without having to fear lengthy delays in delivery. 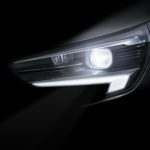 After being part of Groupe PSA for one year, Vauxhall has revealed a further teaser image of its GT X Experimental brand concept for the mid-2020s. The company says it will embrace its core values – British, Ingenious, Progressive and Approachable – and provide a template for the future design of its production cars. 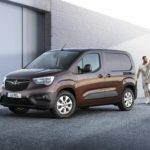 Vauxhall has released first pictures of the latest addition to its range, the all-new Combo panel van. 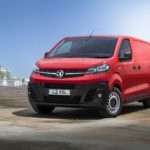 Available to order in the Autumn and arriving in Vauxhall showrooms in December, the Combo is based on an all-new architecture and is available in a selection of variants, including short wheelbase, long wheelbase and crew van.